Phew! It's been over a year and been keeping incredibly busy in my latest adventure. 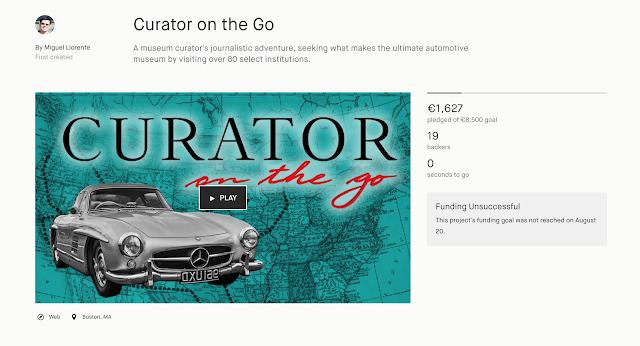 Last time, we were looking at the Curator in the Go Campaign, which did not end up being so successful —mainly because I let it fail. Yes, you read that correctly: I let it follow its course by abandoning all promotional efforts to achieve to finance the most comprehensive car museum exploration ever undertaken. I let it die an ignoble death. But there's a good reason. Over 100 of them, actually. My eternal gratitude to all of those who raised over 1,600€! This is what happened: during the fundraiser, one of the campaign's sponsors, Tomini Classics, ended up approaching me with the intention of hiring me. The interview took several stages and two 3-hour road trips, but in the end, I was presented with the choice of going on the road trip of a lifetime with an uncertain future, or joining the pantheon of the Classic Car Gods and holding the keys to over 100 automotive deities that most mortals can only dream of. I took the latter, and felt that I had made a choice not typical of my persona —whether it is maturity, or simple tiredness with uncertain ventures, is still something that I ponder about every single day. 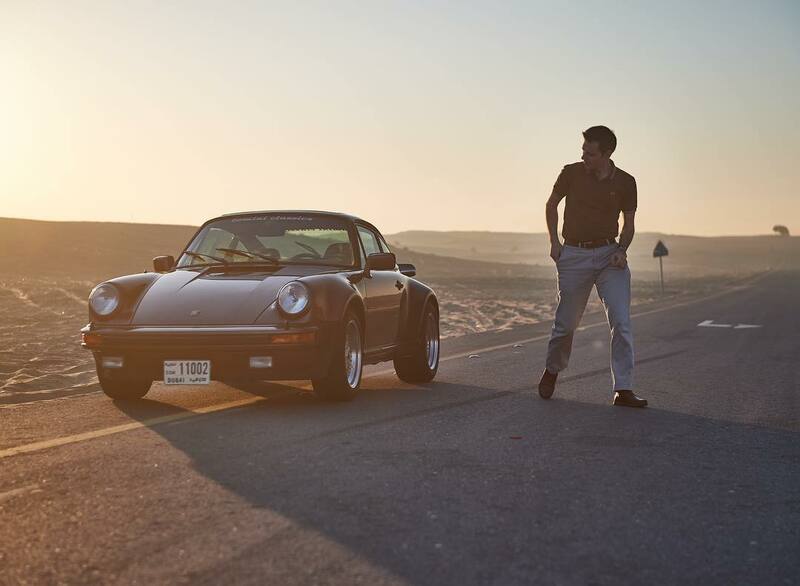 Early morning photoshoot with a 1976 930 Turbo. Photo by Sami Sasso. Such is life. One ages and matures in hopes of having made the right choices. I am sure joining a dream job (by any standard) is the correct path, yet the inevitable sinking feeling that you have given up on something that was 100% yours to work for someone else still weighs heavily in the retrospective film that plays in my head. I am used to make up my own rules and push as far as I can. Learning the art of politics, diplomacy, and dialing back my passion is something new to me. Not having ownership of your work is a rather odd position that is only cushioned by the goodies that come with the job —a benevolent boss, flexible schedule, and every dream car I could ask for. 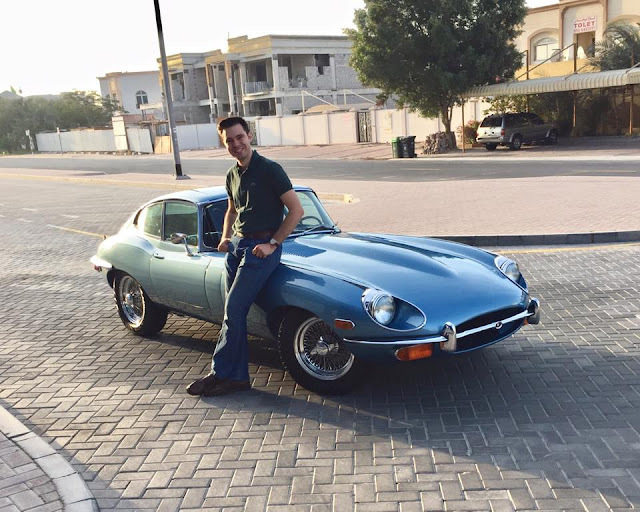 My first (glorious) experience with a Jaguar E-Type: a 1971 Series II. The first months in the job were insufferable, and partly due to my inability to negotiate. The Middle East is a ruthless negotiation culture: any and all things are to be haggled —including some of the basic necessities that you would take for granted when giving a job to someone in an expensive city. I blindly went for the cars without considering the downfalls of the salary offered to me at the time. And I paid dearly for it. Got the cheapest reliable car I could afford, the cheapest apartment I could rent, and slept in an inflatable bed for good part of a year. My savings were gone, and my trust in the company was forever flawed —I could not continue. Within less than six months, I presented my resignation. One of the most special cars I have ever driven —a 1968 Toyota 2000GT. Credit: Private Motor Club. My secretary cried once she found out that day. However, while delegating my tasks before my departure, I was presented with a better offer to remain in the company. And so, I took it —I could now buy groceries that were not instant noodles and fix my car's many flaws. My health improved as well. Things have gotten better ever since, but still remain conflicted about the mentality in this part of the world —the fact that so much can be taken away from you if you don't actively (and aggressively) fight for it. I see it everyday with laborers from the Subcontinent and nannies from the Philippines, and hear an infinite number of stories of workers having their passports confiscated by their employers —very much what happened back in 2014 with my first job in Dubai. Meeting at last, after nearly seven years apart: got a P1800 again! Things have improved since my museum days in 2015, but still miss my former American life. That said, I am beginning to take roots in this city, circumnavigating (or sometimes plainly ignoring) blatant injustices and the arrogance of others; building a tight personal bubble to keep sane. 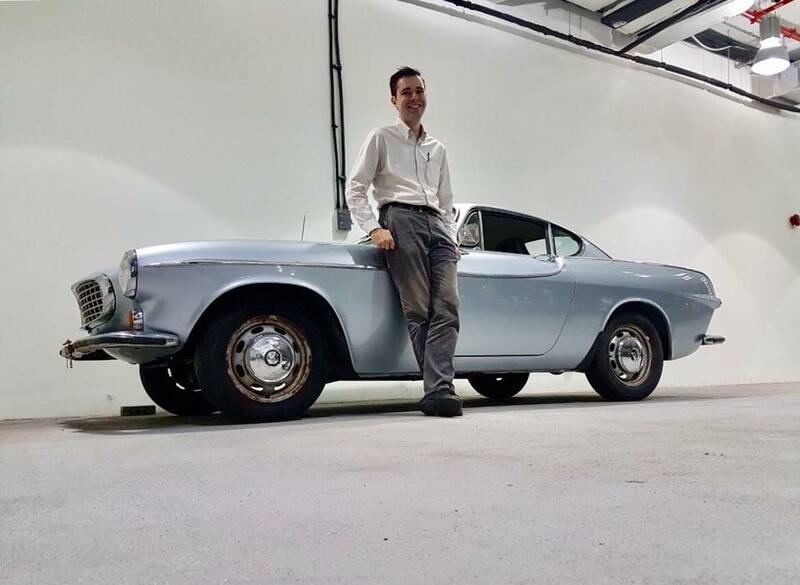 I have developed friendships here that will last a lifetime, and I am back to Volvo P1800 ownership. Life is not all that bad if you are in good company and amongst good cars! Stay tuned for two Korean posts: my funk-tastic Hyundai Equus (most likely the reason you have ended up reading this post, dear visitor) and a road trip around Korea with the girlfriend!